The Maddie’s UW / UCD fellowship positions were created to help provide shelter veterinarians with additional training to help them deliver life-saving knowledge and services to our nation’s homeless pets. The fellowships provide unique opportunities for practitioners to learn via clinical interaction with the University of Wisconsin and UC Davis Koret Shelter Medicine Programs and with a variety of animal shelters throughout the United States and Canada, as well as other international countries. In addition, fellows may have opportunities to interact with other academic and clinical programs, including other university shelter medicine programs as well as national animal welfare organizations. Maddie’s Shelter Medicine Fellows will spend a total of 20 days (or the equivalent hours) over the course of one year focused on advanced shelter medicine training beginning in August 2019 through July 2020. Become familiar with resources to improve shelter animal health, including detailed knowledge of the resources available through our websites, www.uwsheltermedicine.com, www.sheltermedicine.com, other organizations with whom we regularly partner (e.g. Maddie’s Fund, HSUS, ASPCA, the Association of Shelter Veterinarians, the American Association of Feline Practitioners and American Animal Hospital Association), and the scientific literature. Become familiar with the ASV Guidelines for Standards of Care. Learn many important elements of shelter consultation, including considerations for housing, population planning, sanitation, physical and behavioral well-being, etc. Interact closely with shelter medicine faculty, resident, fellow alumni and students with a goal that relationships will develop that promote life-long learning and collaboration between practitioners and academics. Attend a one week fellowship training camp ‘Shelter Medicine Intensive’ in order to work closely with other fellows in the program as well as the UW and UC Davis Shelter Medicine teams and veterinary students. Intensive week this year is Monday-Friday August 26th-August 30th 2019 likely to be held in Madison, WI. Participation in this camp is a requirement of the fellowship. Complete a project focusing on an aspect of interest to the fellow with relevance to their home base shelter and creation of materials to share with the field. Fellows may decide to change their project plan after beginning the fellowship. The Fellows will be able to put their new skills to work with their own shelter, directly benefitting shelter animals and communities. 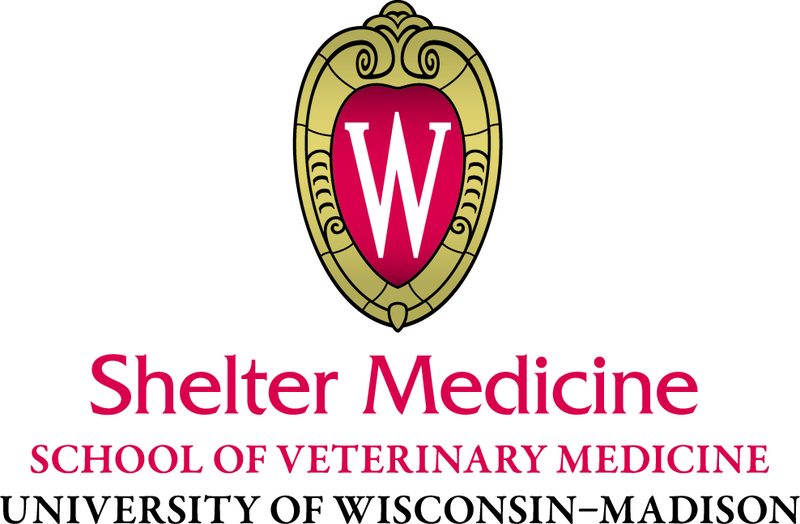 Additionally, the shelter medicine programs and UW veterinary students will benefit from the infusion of practical experience brought by the Shelter Medicine Fellows. Many Fellows continue on with the program as alumni and mentors while working in or with shelters for years to come, greatly magnifying the benefit of this investment in their training. Cost: Fellows do not pay registration fees or tuition. Training and travel costs are covered by the fellowship and made possible by a grant from Maddie’s Fund®. No other direct financial support to fellows is provided. Selection and review committee: A committee will select candidates and review applicant evaluations of this program. The selection and review committee will comprise at least one member of the UW and UCD Shelter Medicine Program. Consideration will be given to selecting candidates representing a variety of geographical locations and shelter types. Attendance at the August Shelter Medicine Intensive required. Travel Expenses covered through Fellowship. Complete a project focusing on an aspect of interest to the fellow with relevance to their home base shelter and creation of materials to share with the field. Project should involve a basic shelter health evaluation and apply methods learned through fellowship. Deliver an oral presentation or prepare a report describing chosen shelter project and what was learned through the fellowship, giving examples of positive changes that were made at shelters as a result of the experience. Previous fellows projects can be seen here. Ability to attend and present project at HSUS Animal Care Expo at request. Travel expenses covered through Fellowship. Applicants must be licensed veterinarians working with shelters in some capacity (as employees, contractual or volunteer). A letter of intent (1 page max). Letter of intent describing why you are interested in the fellowship, how you hope it will benefit homeless animals in the near and/or long term future, further details on any of the answers above you feel need clarification, and anything else you think we should know as we consider your application. A project proposal (1 page max). Brief description of a project you think you would like to undertake during your Fellowship. Your project can involve research, practical applications, etc., and focus on an aspect of interest to you with relevance to your home base shelter. You will have the resources of University of Wisconsin and UC Davis generally available to you and you may decide to change your project plan after beginning fellowship and discussing with mentors. Your project needs largely to be conducted in your regular place of employment (or the shelter you generally work with). Click here to view and complete the Shelter Medicine Fellowship Application. A completed application must include an attached CV, letter of intent, project proposal, and letters of reference. You will be able to save/edit your application but incomplete applications will not be considered. All application materials must be received by 9am on Friday May 31st, 2019.